Tokai Forum - a subsidiary of TokaiRegistry.com :: View topic - Is this Burny dc Junior legit? Is this Burny dc Junior legit? Posted: Sat Dec 30, 2017 8:10 am Post subject: Is this Burny dc Junior legit? 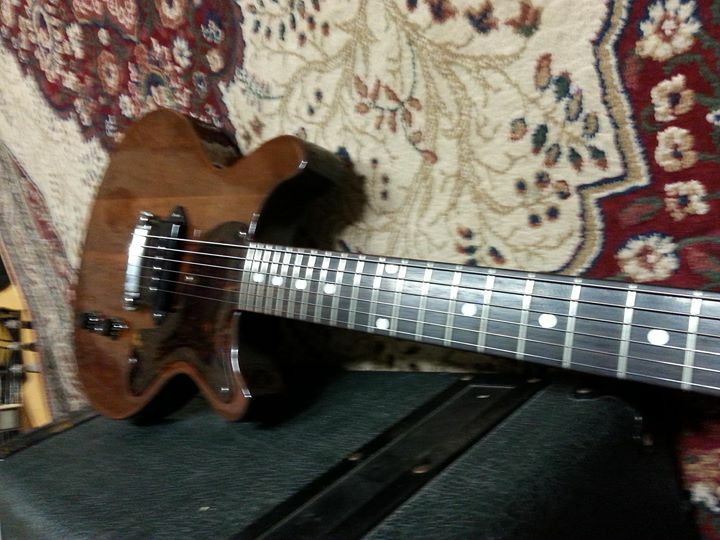 "Burny 1978 TV model LP jnr. All original in hard case. 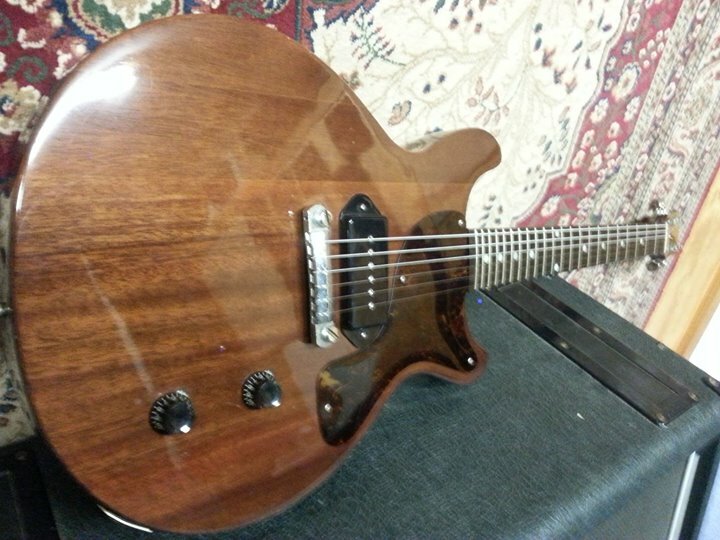 Beautiful mahogany and single P90. Great condition except for 2 marks near rear strap pin as pictured. 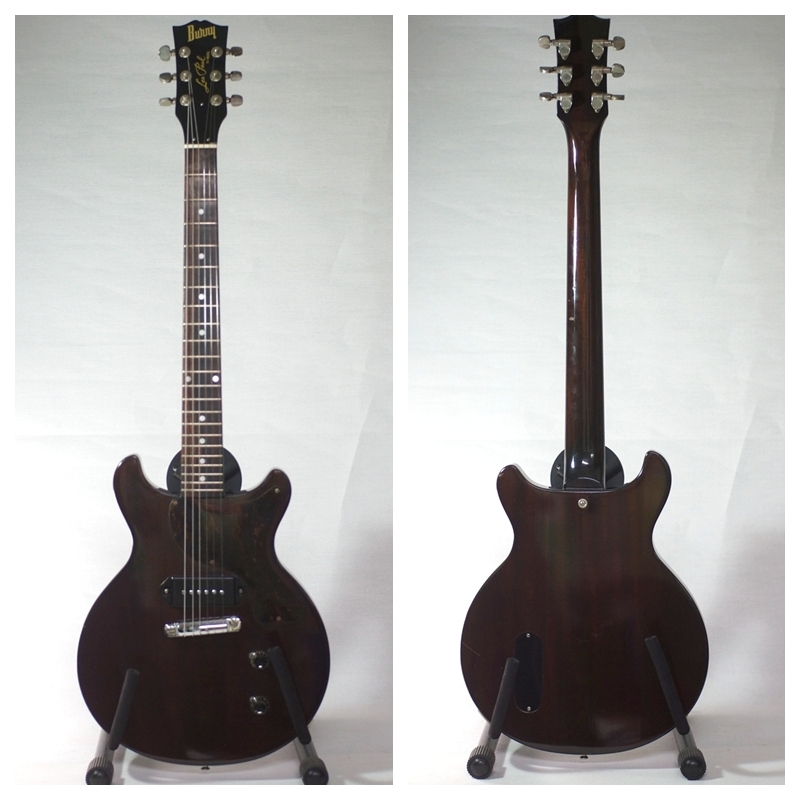 $1200"
Obviously it's had a refinish because the headstock says it's a TV model but it's a natural finish. The tuners appear to be solid metal knobs a la grover. 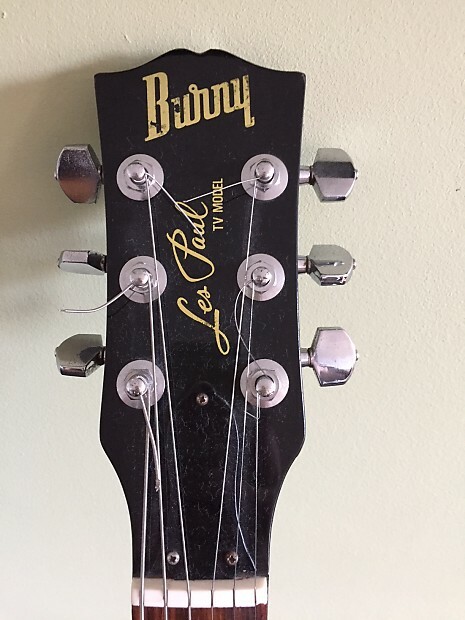 What strikes me as odd is the headstock sticker which says "Les Paul TV Model" and the truss rod cover is a three hole one. 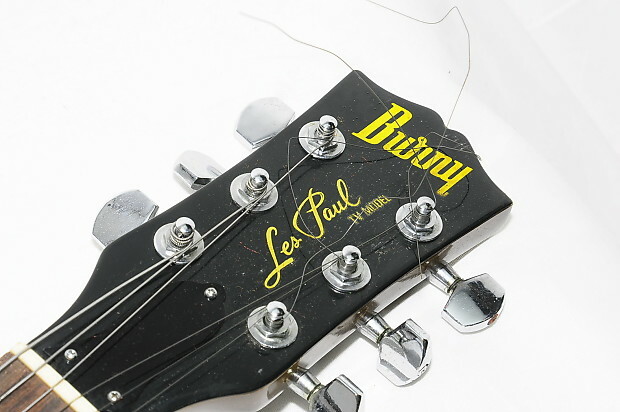 Did Burny ever name their LP juniors as "Les Paul" and did they ever have a three hole truss rod cover? Posted: Sat Dec 30, 2017 1:14 pm Post subject: Re: Is this Burny dc Junior legit? Can't view the guitar. You have to be a Facebook member of that group to do so. OK I hope this works. Is the "Les Paul TV Model" logo authentic for a 1978 model LP Junior DC Burny? Is the three hole truss rod cover correct? The other photos of this guitar are badly focused. I'll try to copy them and put them up if people want. Here's a TV model logo , if it looks like this it should be genuine and unlikely a refin, 3 hole trc in those days too. $1200 seems high to me though, you'd get one much cheaper going direct to Yahoo Japan thru a proxy. Thanks LP Junior. That's exactly what the headstock looks like (except for the tuners which are more of the kidney bean shape metal tuners). 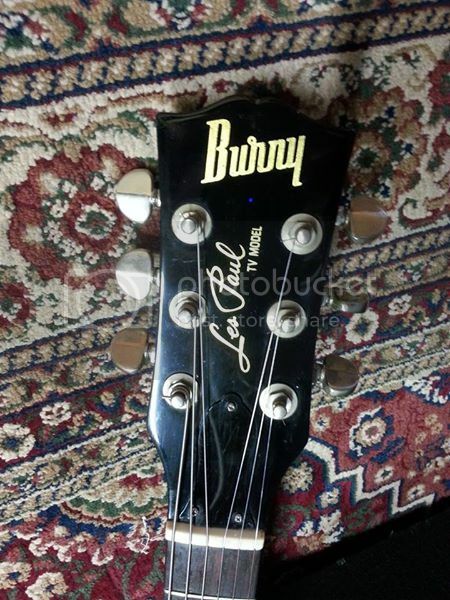 When did Burny start using plastic turner knob similar to the original Gibsons? As I said the body is a natural finish which to me would suggest a refinish of a guitar that is otherwise designated as a TV model, And I agree AUD $1200 seems way too high, even with a case. I guess the seller is counting on the appeal of the Les Paul logo. I wasn't looking to buy this one (as I already have one very similar) - just checking on the authenticity. I'll put mine up for verification when I work out the appropriate method of posting photos. Can't remember off hand, I'd have to look at the catalogues, they're all online. The TV models came in a dark brown mahogany and TV yellow finish so doubt it's a refin. They did bolt on neck versions and think the tuner shots I posted were on the bolt ons. Here are the pictures of the guitar in question. As you can see, the full body pics are not too clear. The finish is much lighter than the dark brown (chocolately) one shown earlier in this thread..